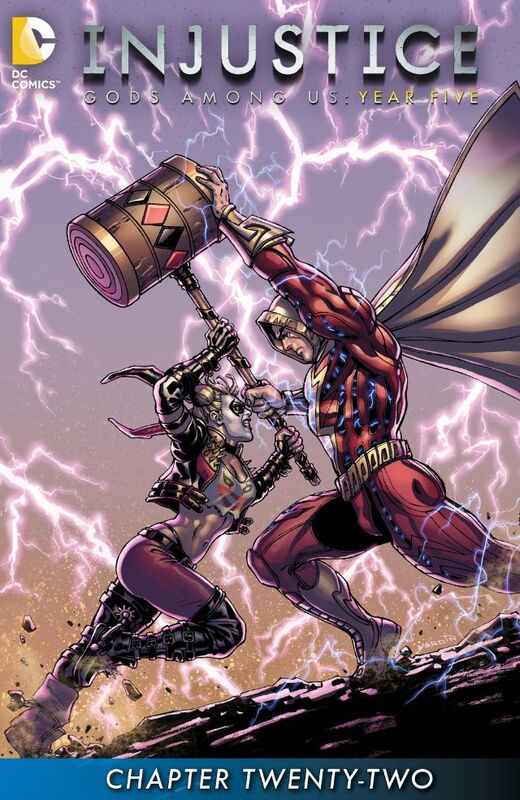 Harley Quinn fights Shazam with no outcome other than Quinn riding off in disappointment, and Shazam letting her. Regime Superman goes to Wayne Manor and has a conversation with Alfred who is dismissive of him from start to finish. Harley Quinn completes her therapy of herself, and tells herself exactly what she wants to hear. Batman is offered assistance from Hawkman, who promises to direct his wrath at those who deserve it. These abilities make him a top tier superhero, yet Captain Marvel, renamed Shazam for the most ridiculous reason, is rendered as little more than a flying strong man, a thin, gruel version of Superman, who is rendered in nearly the same manner. The Wisdom of Solomon should allow him to reason with Harley Quinn, or at the very least, let him know not to let her get away. However, Harley Quinn is popular and Captain Marvel isn't. His popularity is such that he's lost his true name, while Harley Quinn tells herself that she was under the Joker's influence, and that's why she did what she did. I stated more than once that Quinn is equally responsible for Lois Lane and Jimmy Olsen's death, yet she gets the biggest of passes thanks to her popularity. Even when confronted with her crimes, they are magically erased by a cardboard cut-out in a scene of pseudo empowerment. Scenes like this make the hypocrisy of Injustice thicker than creme, but mostly because the hypocrisy isn't dealt with. The downfall of all of these characters, is the inability to see past themselves. Regime Superman has the excuse of losing his family and thereby losing his grip on morality. Quinn blames the Joker. However, Billy Batson, who possesses the wisdom of Solomon can't get it right either. Admittedly, Injustice is a trifle to be enjoyed as such, but aren't even trifles supposed to have some substance? Art - 4: Good line work overall, particularly in the last scene with Batman and Hawkman.